Most people think of Jordan as a warm, parched, desert landscape. But, during the winter, heavy rains trail freezing temperatures, and stone buildings provide little in the way of insulation. For the most vulnerable, blankets, clothes, shoes, and fuel for warmth become priority. Some of the people CRP has given heaters to, still have to share blankets between ten people. Others tell us about the leaks permeating through their housing, (which will only get worse as January rains roll in). According to the UNHCR, over 80% of Syrian and Iraqi refugees already live below the Jordanian poverty line. Seven years into the crises, savings stand exhausted, if even still existent. Most families have little or nothing left to prepare for winter. Wasan and Hashem are worried about staying warm this winter. You can help them fight off the cold with a donation. Hesham says he still ins’t sure what to do about winter yet. Temperatures have dropped, and the stone buildings that pepper Amman provide little or no protection. Concrete floors are cold to the touch, and some nights, your breadth turns to vapor in your own home. Wasan and Hesham have a heater, but say they lack the fuel it needs to run. They’re not the only ones who report this problem. According to the UNHCR most of the emergency funds given out during the winter are either spent on clothing, fuel, or repairs to the home. Dilapidated housing plagues many refugee communities. Families say their landlords are unsympathetic to the holes in the walls, or the lack of carpet on the floor. One mother said they have been forced close off a section of their apartment entirely, due to the heavy leaks in the roof. CRP has been giving out winter coats as money comes in. Here, a boy tries on a new coat. Help more kids stay warm with your donation. The UNHCR still faces a $12.9 million funding gap, or half of what it needs for its winterization efforts. But, even if they do manage to raise the rest. They can only target a portion of those who need help. Which makes the work of grassroots NGOs like CRP vital. Fortunately, Hesham and Wasan have heaters and blankets this winter, and hope to receive fuel vouchers from CRP, but their future is still uncertain. 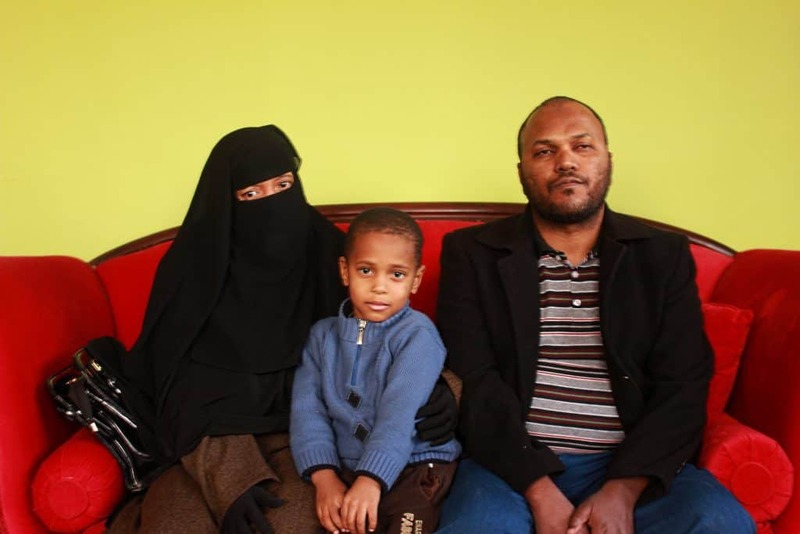 Hesham requires his wife’s help to move around, and his eyes are gradually getting worse. Without his vision, he can’t work, and without fuel for the heater, they worry about their son’s health. “When it’s cold he always has the flu, and when he sleeps, he’s always sneezing,” Hesham says. 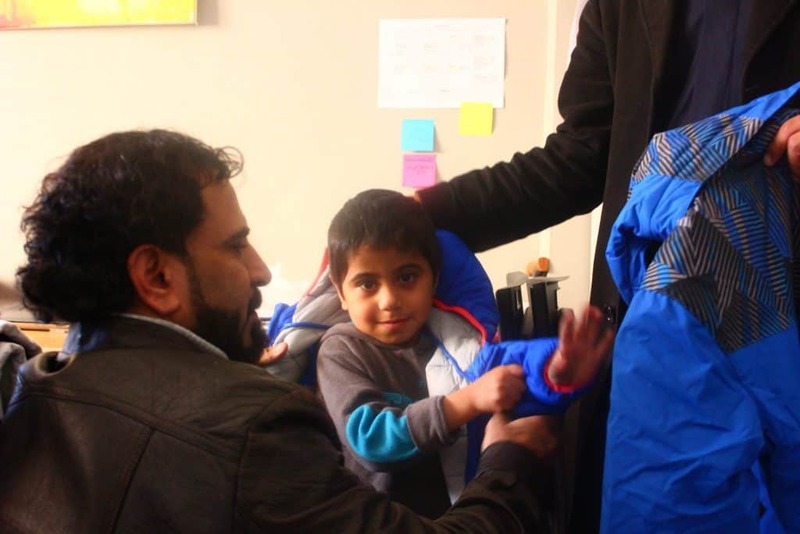 You can help make sure Hesham and his family are warm this winter. It only costs $15 to pay for a month’s worth of fuel. Donate to CRP and support our fuel voucher program to ensure refugees have heating to make it through Amman’s harsh winter.